Istoria Fiorentino di M. Poggio. Tradotta di Latino in Volgare da Iacopo suo figliuolo [d. i. Jacopo di Poggio Bracciolini]. Riueduta, e corretta nuouamente per Francesco Serdonati. 8, 2 Bl., 258 S., 9 Bl. (Tavola). Hübsche Holzschnitt-Initialen, Späterer OPerg.-Bd. (18. Jht.) m. Rückenschild, Kleine Fehlstelle a. Deckel (minimaler Pergamentverlust). Innen teilweise min. stockfleckig, Seiten unterschiedlich gebräunt. 30 S. a. unteren Steg etwas wasserrändig. Insgesamt schönes Exemplar. (BMC Italian Books 124). Erste italienischsprachige Ausgabe dieser klassischen Geschichte der Stadt Florenz von 1350 bis 1455 (erschienen unter dem Titel "Historia Fiorentina" in Venedig 1476). - Gianfrancesco (oder Giovanni Francesco) Poggio Bracciolini (1380 - 1459) war einer der wichtigsten Humanisten der italienischen Renaissance. Er studierte in Florenz und ging um 1402 nach Rom, wo Papst Bonifatius IX. ihn zu einem seiner apostolischen Sekretäre machte, eine Position, die er unter den Päpsten Innozenz VII. (gestorben 1406), Gregor XII. (abgedankt 1415), Alexander V. (gestorben 1410) und dem Gegenpapst Johannes XXIII. (abgesetzt im Mai 1415) behielt. Die Absetzung des Letzteren und die Länge des Konzils von Konstanz (5. November 1414 bis 22. April 1418) gab ihm die Zeit, in den Bibliotheken und Klöstern Deutschlands und Frankreichs nach antiken Texten zu suchen, die den frühen Humanisten bekannt waren, aber in Italien nicht mehr existierten. Er entdeckte lange verschollene Texte von Cicero, Tacitus, Quintilian, Vegetius, Marcus Manilius, Ammianus Marcellinus, Vitruv, Statius und Petronius und spezialisierte sich darauf, Fragmente anhand des Schreibstils bestimmten Autoren zuzuordnen und so verlorene Werke zu rekonstruieren. gr.-8. Doppeltit., 6 Bll., 347 S. Mit doppelbl.-gr. Frontisp. u. 12 gefalt. Kupfertaf. Ldr. d. Zt. m. goldgeprägt. Wappen-Supralibris auf beiden Deckeln. Rückensch, Rückengoldpräg. Berieb. Innen sauber. Jähns 1455 Zischka S. 73 VD18 10778713 - Erste Ausgabe unter diesem Titel, gegenüber der von 1723 stark vermehrt. "Ein Wörterbuch im eigentlichen Sinne die technischen Kunstausdrücke werden kurz erläutert. Ein doppelter Anhang bringt erstlich ein geographisches Ortsverzeichnis, zweitens eine Übersicht der vornehmsten Münzsorten. Gute Kupfertafeln erläutern den Text" (Jähns). Fäsch war Architekt und Ingenieur in kursächsischem Dienst. "Der Formensprache nach gehört Fäsch zur mittleren Generation der sächsischen Barockbaumeister. Fäsch galt ferner als Sachverständiger für Ingenieur-, Seewesen, Artillerie, Geometrie, Arithmetik, Mechanik, Bergwerks-, Maß-, Gewichts- und Münzwesen." (NDB IV, 741). - Die Kupfer in kräfitigen Abdrucken zeigen vornehml. Befestigungen, Pläne, Werkzeuge, Kanonen, Minen etc. 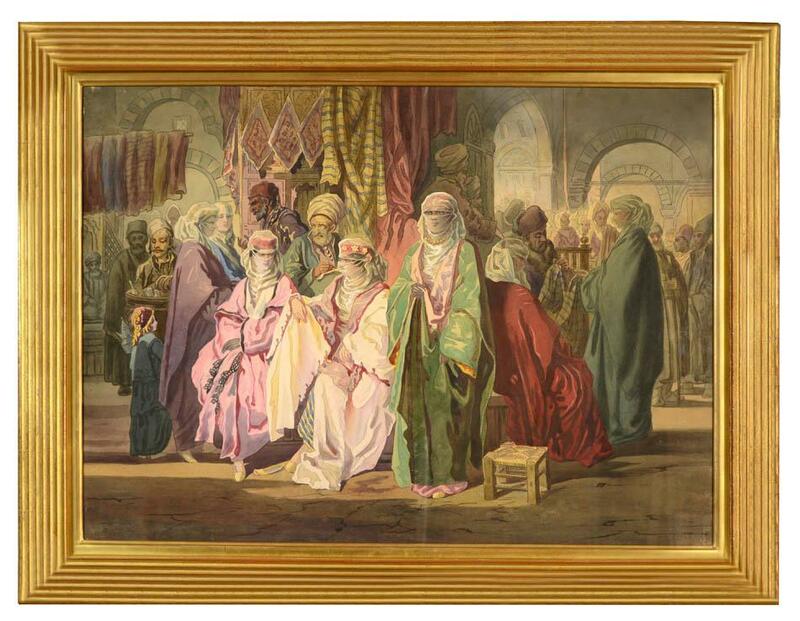 A pair of watercolours depicting scenes inside the Grand Bazaar at Istanbul. limitierte Sonderausgabe - Nr. 35 von nur 250 Stück! - 2 Bände, Leder, mit 100 farbigen und goldgehöhten faks. Blättern, Kopfgoldschnitt, rote Ganzlederbände mit goldgepr. Rückentitel und -vergoldung, eingelegter goldgeprägter Deckelumrahmung, mit Wappen-Medaillon aus Metall, in roten Orig.-Samtschubern, guter Zustand Faksimile der illuminierten Handschrift von 1455-61. Herausgegeben von Giovanni Treccani degli Alfieri. Mit Dokumenten und einer kunstgeschichtlichen Abhandlung von Adolfo Venturi. Mainz: Johann Gutenberg and Johann Fust, ca. 1455. This is a leaf from the 42-Line (or Gutenberg) Bible, the first substantial book printed in Europe with movable type as well as the first printed edition of the Vulgate Bible. Though it was preceded by a few small printed items (e.g., two indulgences of 1454) and a few insignificant books (mostly copies of Donatus, and all of them now fragmentary), this is the book that traditionally marks the beginning of printing as we know it. Newton says in his essay included here with the leaf that Gutenberg's Bible "as an example of printing . . . has never been surpassed. Of all the arts, printing at its birth reached perfection more nearly than any other." The importance of this Bible in terms of the effect on Western civilization represented by the advent of printing in Europe can hardly be exaggerated, and the pleasure of owning even a fragmentary part of this singular production is proportionately acute. Our leaf is part of a fragment that was bought by Robert Curzon, Lord Zouche, in the duplicate sale of the Munich Royal Library in 1832; it was later sold by his descendants at Sotheby's in 1920 to Joseph Sabin, who, in turn, sold it to the bookseller Gabriel Wells, who broke it up into smaller fragments and individual leaves, partly for sale along with the Newton essay, as in the present case. Our leaf contains an important section from the Book of Judith (chapter 7:28-32, all of chapter 8, and chapter 9:1-12), in which Judith, at the request of the city governors of Bethulia, beseeches G_d to deliver the city and the children of Israel from the massed army of the Assyrians, and she prays to G_d as the only true and almighty spirit and savior of the people of Israel. There are 48 known copies of the Gutenberg Bible (a number imperfect, some comprising one volume of two, and a few of those imperfect). All but three are in institutional collections (the Doheny copy of volume one, consisting of 324 leaves of the Old Testament, was the last in the marketplace, being sold for a hammer price of $4,900,000 in 1987). 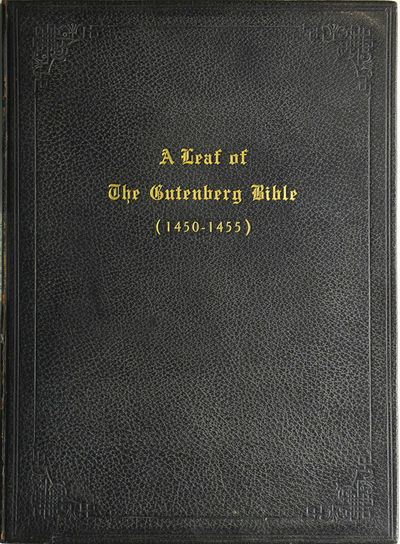 As a consequence, the only form of the 42-line Bible that one can reasonably hope to possess is a single leaf, and there have always been at least a small number of Gutenberg leaves on the market at any one time, with the price per leaf steadily escalating year by year. The specimens that become available are more and more frequently beset with condition problems, so that the present leaf--which is in especially fine condition--is particularly desirable. Even the "Noble Fragment" binding and slipcase, which are often found in unattractive shape, are found here in virtually pristine condition, after having been in the same family's collection for the past 70 years.. Leaf: 390 x 287 mm. (15 3/8 x 11 1/4"); Portfolio: 403 x 293 mm. (16 x 11 1/2"). Double columns, 42 lines in a gothic typeface. With a bibliographical essay by A. Edward Newton (New York: Gordon Wells, 1921). 3 leaves. In the original Noble Fragment full black morocco folder, covers with blind-stamped frame, upper cover with gilt titling, flat spine with "Gutenberg" lettered in gilt, gilt-ruled turn-ins. In the original black slipcase. Capitals struck in red, headline and chapter numbers painted in red and blue, and two hand-painted two-line initials. Front pastedown with evidence of removed bookplate. Goff B-526; BMC I, 17; PMM 1. Corners of the portfolio lightly rubbed, the leaf with a touch of dust-soiling to edges, otherwise AN ESPECIALLY FINE SPECIMEN, clean, fresh, and bright with ample margins. This is a leaf from the 42-Line (or Gutenberg) Bible, the first substantial book printed in Europe with movable type as well as the first printed edition of the Vulgate Bible. Though it was preceded by a few small printed items (e.g., two indulgences of 1454) and a few insignificant books (mostly copies of Donatus, and all of them now fragmentary), this is the book that traditionally marks the beginning of printing as we know it. Newton says in his essay included here with the leaf that Gutenberg's Bible "as an example of printing . . . has never been surpassed. Of all the arts, printing at its birth reached perfection more nearly than any other." The importance of this Bible in terms of the effect on Western civilization represented by the advent of printing in Europe can hardly be exaggerated, and the pleasure of owning even a fragmentary part of this singular production is proportionately acute. Our leaf is part of a fragment that was bought by Robert Curzon, Lord Zouche, in the duplicate sale of the Munich Royal Library in 1832; it was later sold by his descendants at Sotheby's in 1920 to Joseph Sabin, who, in turn, sold it to the bookseller Gabriel Wells, who broke it up into smaller fragments and individual leaves, partly for sale along with the Newton essay, as in the present case. Our leaf contains an important section from the Book of Judith (chapter 7:28-32, all of chapter 8, and chapter 9:1-12), in which Judith, at the request of the city governors of Bethulia, beseeches G_d to deliver the city and the children of Israel from the massed army of the Assyrians, and she prays to G_d as the only true and almighty spirit and savior of the people of Israel. There are 48 known copies of the Gutenberg Bible (a number imperfect, some comprising one volume of two, and a few of those imperfect). All but three are in institutional collections (the Doheny copy of volume one, consisting of 324 leaves of the Old Testament, was the last in the marketplace, being sold for a hammer price of $4,900,000 in 1987). 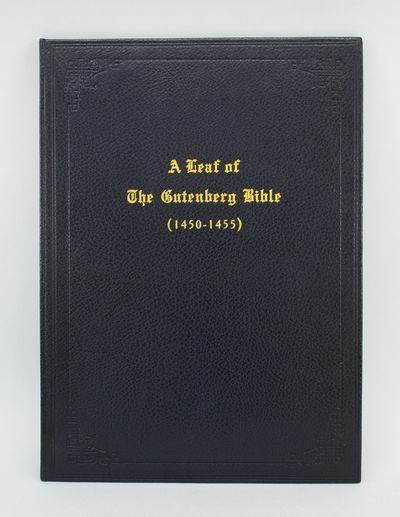 As a consequence, the only form of the 42-line Bible that one can reasonably hope to possess is a single leaf, and there have always been at least a small number of Gutenberg leaves on the market at any one time, with the price per leaf steadily escalating year by year. The specimens that become available are more and more frequently beset with condition problems, so that the present leaf--which is in especially fine condition--is particularly desirable. Even the "Noble Fragment" binding and slipcase, which are often found in unattractive shape, are found here in virtually pristine condition, after having been in the same family's collection for the past 70 years. [Mainz: Johann Gutenberg, Johann Fust, and Peter Schoeffer, 1455. Edition limited to 600 copies, designed by Bruce Rogers and printed by William Edwin Rudge. Newton's text in two columns,  pp. of text, with title-page and one initial letter printed in red. Leaf from the Gutenberg Bible tipped in, Folio 218 (Luke 1:12 - 2:9), with large red initial "F" on verso at beginning of second chapter, manuscript chapter numeral "II" in alternating red and blue, text capitals rubricated throughout, manuscript headline in red and blue, some mostly marginal spotting, old dampstain at extreme upper margin, but fine. Folio. Leaf: (390 x 283 mm). Original full black blindstamped morocco by Stikeman & Co., front cover lettered in gilt. Some rubbing at joints, touch of fading to boards. In original slipcase. Edition limited to 600 copies, designed by Bruce Rogers and printed by William Edwin Rudge. Newton's text in two columns,  pp. of text, with title-page and one initial letter printed in red. Leaf from the Gutenberg Bible tipped in, Folio 218 (Luke 1:12 - 2:9), with large red initial "F" on verso at beginning of second chapter, manuscript chapter numeral "II" in alternating red and blue, text capitals rubricated throughout, manuscript headline in red and blue, some mostly marginal spotting, old dampstain at extreme upper margin, but fine. Folio. Leaf: (390 x 283 mm). The Birth of Christ: A Leaf From the Gutenberg Bible. UNQUESTIONABLY ONE OF THE MOST SIGNIFICANT SINGLE LEAVES OF THE GUTENBERG BIBLE, BEING LUKE'S ACCOUNT OF THE EVENTS LEADING UP TO AND INCLUDING THE BIRTH OF CHRIST. Among the four evangelists only Luke and Matthew provide a narrative account of Christ's nativity, with Luke's being by far the more in-depth, providing most of the details that have come to be associated with the birth of Jesus. Our leaf includes the announcement by the angel Gabriel of the coming of John the Baptist to Zachariah, the husband of Elizabeth; Gabriel's announcement to Mary that she is to give birth to the Son of God (the Annunciation); the visit of Mary to Elizabeth (the Visitation); Mary's song of praise; the journey of Joseph and Mary from Nazareth to Bethlehem in accordance with the census; the birth of John the Baptist; the birth of Jesus in a manger--there being no room at the inn--and his being wrapped in swaddling clothes; and the appearance of an angel to a group of shepherds in a nearby field. None of these events is duplicated in Matthew's account- though an angel does appear to announce the coming of Jesus, it appears to Joseph, not Mary, and is not identified as Gabriel; and while Bethlehem is named as the birthplace of Jesus, Matthew makes no mention of either the manger or the shepherds. The centrality of this narrative to Christianity and hence its importance to world civilization hardly needs emphasizing. The recounting of the narrative in this leaf from the first printed book--the appearance of which likewise marks the birth of a new era of human culture--makes for an exceptional literary and cultural artifact. It is not likely that another example of this leaf will appear on the market again. This "greatest of all printed books" (PMM), the Gutenberg Bible was the first book printed from movable type in the Western hemisphere. Only forty-eight copies of it are known, most of which are incomplete. This leaf was removed from the imperfect Mannheim Court Library-Munich Royal Library-Robert Curzon (Lord Zouche)-Sabin copy after it was acquired by the New York bookseller Gabriel Wells at Sotheby's, 9 November, 1920. Wells broke up the copy in 1921 and offered the leaves separately, bound along with A. Edward Newton's eloquent essay. Every copy, leaf, or fragment of this Bible represents a rare tangible piece of cultural history, and an immense achievement in the art and craft of printing. "Its printers were competing in the market hitherto supplied by the producers of high-class manuscripts. The design of the book and the layout of the book were therefore based on the book-hand and manuscript design of the day, and a very high standard of press-work was required, and obtained, to enable the new mechanical product to compete successfully with its hand-produced rivals. Standards were set in quality of paper and blackness of ink, in design and professional skill, which the printers of later generations have found difficult to maintain" -Printing and the Mind of Man. 8. VIII, 116 S. Hlwd. d. Zt. mit aufkasch. Vdeckel d. OU. (Etw. berieb. u. best.). Seltene Erstausgabe: Paoloni 487. - Poggendorff I, 1455. - Waller I,5795. - Darmstädter 498. Weiss 2306. "Freiherr Justus von Liebig (Darmstadt*1803 - München1873) war einer der Berühmtesten Lebensmittelchemiker und Forscher. Er erfand den Fleischextrakt (Liebigs Fleischextrakt) und das Backpulver. Sein Hauptwerk Chemische Briefe begründete sein Weltruhm. Vgl. hierzu ADB,XVII,600: "... gelangte Liebig zu einer Entdeckung, die ihn zu einem der populärsten Männer seiner Zeit gemacht u. durch die er der Wohltäter von Tausenden von Menschen geworden ist, zur Herstellung des Fleischextraktes. Leicht gebräunt, tls. stockfl. Die Zehn Gebote der Kunst. Zehn Canons. Quer-2. 8 S. + 1 Bll. OBrosch. Plattennr. 1455. 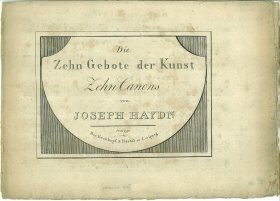 Mit dem beiliegenden Blatt "Original-Text zu J. Haydn'ns Canons: die Zehn Gebote der Kunst.". - Stockfleckig, etw. gebräunt, T. u. letztes Blatt lose, leichte Gbrsp. - Der Erstdruck dieser Version mit neuen Texten zu Haydn's "Heiligen zehn Geboten". DECORATED MEDIEVAL MANUSCRIPT IN LATIN ON PAPER, Western Germany (North Rhine-Westphalia?) or the Netherlands, c. 1455-1470. 144 x 106 mm. 149 folios on paper, preceded and followed by single parchment flyleaves, watermarks in Piccard and Briquet, complete (collation, i-iv12 v12 [-8 and 9, stubs remaining, with bifolium tipped onto these stubs] vi12 [4 and 8 tipped onto stubs whose conjugates are blank] vii18 [of 16, two slips sewn in] viii-xi12 xii13 [of 12, singleton sewn in]), traces of quire signatures and catchwords, written in long lines in as many as five different Gothic cursive or hybrida hands (justification, 103-107 x 66-70 mm. ), guide letters, notes to the rubricator (mostly cropped), rubrics written or underlned in red, capitals touched in red, 1- to 3-line red initials, larger initial "I" on f. 118v. BINDING: Contemporary binding of calf, blind-tooled with two concentric double-fillet rectangular frames, blind-stamped with circular stamps with paschal lambs or fleurs-de-lis, all over wooden boards, spine with three raised double bands, intact brass fore-edge clasp fastening back to front, paper label on spine inscribed "780" in dark brown ink, pastedowns and endleaves formed from two parchment leaves from a late twelfth- or early thirteenth-century Antiphonary with Hufnagel notations on four-line staves, rotated and folded into bifolia. TEXT: Breviaries contain the complete text of the Divine Office, prayers said throughout the day and night by religious communities and priests at the Offices of Matins, Lauds, Prime, Terce, Sext, None, Vespers, and Compline. This diminutive volume, however, only includes the prayers and readings for Matins, and therefore could be called a Matudinal (a Nocturnal also includes the night Office of Vespers). Its owner would also have made use of a Nocturnal and Diurnal, a volume containing the texts for the day Offices. Matins, the night Office recited in the dark hours following midnight, is the longest of the Divine Hours, including Psalms with antiphons, responsories, and other chants, along with a varying number of readings, or lections, from the Bible and patristic authors. The number of lections with each nocturn (three rather than four) suggests that this Breviary was intended for use within a secular context rather than a monastic one. Since this volume contains the texts for the night Office during the winter season only, it was likely part of a two-volume set, the other of which would have contained the corresponding texts for the summer season, as well, perhaps, as the Common of Saints. A small and carefully emended volume, this Breviary was certainly made for personal use by a friar or canon, rather than for public reading. Its careful corrections and annotations warrant further examination for what they reveal about the needs of its earliest users. Matudinals are less common than complete Breviaries. PROVENANCE: Although the absence of a calendar and any regionally significant saints in the Sanctorale rule out localization based on internal evidence, the evidence of watermark, script, and decoration suggests that this manuscript was produced around 1455-1470, most probably in western Germany, in the region of North Rhine-Westphalia, or the Netherlands. Heavy corrections in several hands, including scribal cancellations, corrections, and additions. Evidence of binding stamps may indicate that this manuscript was bound shortly after its creation, likely in eastern Germany. CONDITION: Some worming in binding boards and pastedowns, some wear to the binding, with a split in the leather along the upper joing and slight loosening of the book block, f. 72 mostly trimmed and patched with paper, some smudging and soiling from use in the lower outer margin, particularly on ff. 1 and 73, very slight worming on the initial and final leaves, but otherwise in fine condition. Full description and photographs available (TM 790). - - Inhalt: Rudolf Riege: Bildnis, Radierung, Tanz, Holzschnitt / Fritz Meisel: Frühlingslandschaft, Radierung, Liegender Akt, Radierung / Gerd Schniewind: Moorlandschaft, Holzschnitt, Winterlandschaft, Holzschnitt / Ernst Wetzenstein: Liebespaar, Radierung, Strasse, Radierung - Sprache: Deutsch Gewicht in Gramm: 1455 8 Tafeln unter Passepartout, original Halbleinen-Flügelmappe, Folio (Mappe und Titel bst./stockfleckig/Tafeln gering randfl.) - Dieses Werk wurde von den Künstlern eigenhändig in einer einmaligen Auflage von 80 nummerierten Exemplaren abgezogen und hanschriftlich signiert. Die Platten sind nach Druck der Auflage vernichtet. Die Mappen fertigte die Buchbinderei Otto Dorfner Weimar. Dieses Exemplar trägt die Nummer 19. Verlag der Gesellschaft zur Verbreitung klassischer Kunst, Berlin (um 1920). Testimonio, Brügge um 1455 (Faksimile neueren Datums). - 732 Seiten (366 Folios), mit 72 Miniaturen und 24 Kalenderbildern. 5780.- Bl Eine Rechnung mit ausgewiesener Mehrwertsteuer liegt Ihrer Bestellung bei. Sprache: Deutsch Gewicht in Gramm: 2100 Mudejar-Ausgabe, Format 20,5 x 13,8 cm mit deutschem Kommentar von Dr. Gregory Clark. DECORATED MEDIEVAL MANUSCRIPT IN LATIN ON PAPER, Western Germany (North Rhine-Westphalia?) or the Netherlands, c. 1455-1470. 144 x 106 mm. 149 folios on paper, preceded and followed by single parchment flyleaves, watermarks in Piccard and Briquet, complete (collation, i-iv12 v12 [-8 and 9, stubs remaining, with bifolium tipped onto these stubs] vi12 [4 and 8 tipped onto stubs whose conjugates are blank] vii18 [of 16, two slips sewn in] viii-xi12 xii13 [of 12, singleton sewn in]), traces of quire signatures and catchwords, written in long lines in as many as five different Gothic cursive or hybrida hands (justification, 103-107 x 66-70 mm. ), guide letters, notes to the rubricator (mostly cropped), rubrics written or underlned in red, capitals touched in red, 1- to 3-line red initials, larger initial ?"I?" on f. 118v. BINDING: Contemporary binding of calf, blind-tooled with two concentric double-fillet rectangular frames, blind-stamped with circular stamps with paschal lambs or fleurs-de-lis, all over wooden boards, spine with three raised double bands, intact brass fore-edge clasp fastening back to front, paper label on spine inscribed ?"780?" 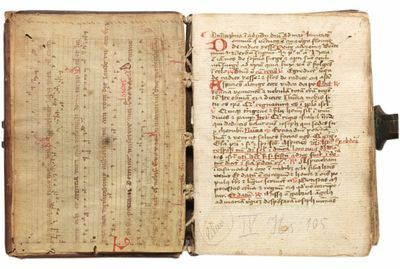 in dark brown ink, pastedowns and endleaves formed from two parchment leaves from a late twelfth- or early thirteenth-century Antiphonary with Hufnagel notations on four-line staves, rotated and folded into bifolia. TEXT: Breviaries contain the complete text of the Divine Office, prayers said throughout the day and night by religious communities and priests at the Offices of Matins, Lauds, Prime, Terce, Sext, None, Vespers, and Compline. This diminutive volume, however, only includes the prayers and readings for Matins, and therefore could be called a Matudinal (a Nocturnal also includes the night Office of Vespers). Its owner would also have made use of a Nocturnal and Diurnal, a volume containing the texts for the day Offices. Matins, the night Office recited in the dark hours following midnight, is the longest of the Divine Hours, including Psalms with antiphons, responsories, and other chants, along with a varying number of readings, or lections, from the Bible and patristic authors. The number of lections with each nocturn (three rather than four) suggests that this Breviary was intended for use within a secular context rather than a monastic one. Since this volume contains the texts for the night Office during the winter season only, it was likely part of a two-volume set, the other of which would have contained the corresponding texts for the summer season, as well, perhaps, as the Common of Saints. A small and carefully emended volume, this Breviary was certainly made for personal use by a friar or canon, rather than for public reading. Its careful corrections and annotations warrant further examination for what they reveal about the needs of its earliest users. Matudinals are less common than complete Breviaries. PROVENANCE: Although the absence of a calendar and any regionally significant saints in the Sanctorale rule out localization based on internal evidence, the evidence of watermark, script, and decoration suggests that this manuscript was produced around 1455-1470, most probably in western Germany, in the region of North Rhine-Westphalia, or the Netherlands. Heavy corrections in several hands, including scribal cancellations, corrections, and additions. Evidence of binding stamps may indicate that this manuscript was bound shortly after its creation, likely in eastern Germany. CONDITION: Some worming in binding boards and pastedowns, some wear to the binding, with a split in the leather along the upper joing and slight loosening of the book block, f. 72 mostly trimmed and patched with paper, some smudging and soiling from use in the lower outer margin, particularly on ff. 1 and 73, very slight worming on the initial and final leaves, but otherwise in fine condition. Full description and photographs available (TM 790). Szenen aus dem Leben des Hl. Nikolaus von Bari: Erziehung durch den Bischof.
. Bleistift, auf chamoisfarbenem Bütten mit Wasserzeichen: La Briglia. 20,7:27,7 cm. Etwas fleckig und mit leichten Gebrauchsspuren, verso am Oberrand Reste alter Verklebung. Provenienz: Sammlung Friedrich August von Sachsen, Lugt 971; L mit Eule im Rechteck sowie JK im Kreis, beide nicht bei Lugt. Literatur: Klassiker der Kunst ?, S. 83. Nach "Szenen aus dem Leben des Hl. Nikolaus von Bari" (Pinacoteca Vaticana, Rom) von Frau Angelico (ca. 1387-1455). Auf Angelicos Predellatafel des Triptychons von San Domenico in Perugia sind von links nach rechts drei Szenen aus dem Leben des Hl. Nikolaus von Bari dargestellt: Geburt, Erziehung durch den Bischof und Nikolaus wirft goldene Kugeln in das Zimmer dreier Jungfrauen. Naeke wählte den Mittelteil für seine Zeichnung als Vorlage, an die er sich weitgehend hielt. Allein der auf der Kanzel stehende Bischof ist nicht Bestandteil der Komposition wie auch die Architektur, die bei Naeke aufgrund des näheren Ausschnitts nur angedeutet ist.. Der Historien- und Bildnismaler Gustav Heinrich Naeke erhielt seine künstlerische Ausbildung ab 1803 an der Dresdener Kunstakademie. Bekanntheit erlangte er erst wegen seiner Almanach-Illustrationen. Durch die Dresdener Ausbildung klassizistisch geprägt, brachte ein Rom-Aufenthalt 1817-1825 die Hinwendung zur Malauffassung der Nazarener; enge Kontakte pflegte er zu dessen bekanntesten Vertretern, so zu F. Overbeck (1789-1869), J. Schnorr von Carolsfeld (1794-1872) und P. Veit (1793-1877). Nach seiner Rückkehr nach Deutschland wurde er Professor an der Dresdener Kunstakademie. Naekes Werke bewahren die Kunsthalle Bremen, Museen in Leipzig und Dresden, die National-Galerie Berlin, das Kupferstichkabinett Dresden, das Städelsche Kunstinstitut Frankfurt am Main, das Landesmuseum Mainz sowie das Museum Georg Schäfer Schweinfurt und die Kunsthalle Mannheim. Sonate XII. di violino, e basso dedicate a S. A. R. la Principessa elettorale di Sassonia Maria Antonia Walburga di Baviera. Wien, (Bernardi) 1754. Quer 4°. 2 Bll. (hs. 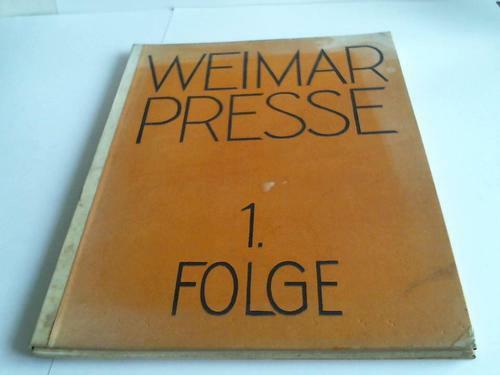 Titel und Widmung), 65 S. mit gest. Noten von G. Nicolai, Ldr. d. Zt. mit Deckel- u. RVerg. . . Eitner VIII, 23 - RISM P5121 - MGG X, 1455.- Sehr seltene erste Ausgabe.- Widmungsexemplar des weltweit nur in wenigen Bibliotheken nachweisbaren Erstdrucks. Titel und Widmung sind in kalligraphierter Handschrift auf demselben Papier wie der Druck ausgeführt. Nach dem RISM befindet sich in der Sächsischen Landesbibliothek Dresden ebenfalls ein Exemplar mit handschriftlichem Titel und Widmung. Dieses war urspünglich im Besitz der "Königlichen Privat-Musikaliensammlung" in Dresden (J. Petzholdt, Maria Antonia Walpurgis von Sachsen, Dresden 1857, S. 12), und von dort dürfte auch unser Exemplar stammen. Ein kleiner Notizzettel auf dem vorderen Spiegel enthält einen Kaufvermerk, datiert Leipzig, 22. August 1864. Denkbar wäre, daß unser Exemplar eine Zweitschrift ist und daher beim Übergang in die Sächsische Landesbibliothek als Dublette abgegeben worden ist, und zwar noch vor der Stempelung.- Der neapolitanische Komponist Nicola Porpora (1686-1768) war 1748-51 Gesanglehrer der Prinzessin von Sachsen, Maria Antonia Walpurgis, in Dresden. 1752 ging er nach Wien, wo Joseph Haydn sein Schüler und Diener wurde. Dort veröffentlichte Porpora auch die vorliegenden Sonaten, in deren Widmung er sich noch Kapellmeister des Königs von Polen nennt. Die aus Bayern stammende Prinzessin war eine große Fördererin der Künste, insbesondere der Musik.- Durchgehend mit Wasserrändern, sonst nur leicht gebräunt und fleckig, Kapitale beschäd., Ebd. etw. berieben u. bestoßen.# Very rare first edition.- Dedication copy of the first issue recorded worldwide only in a few libraries. Title and dedication are in calligraphic handwriting on the same paper as the printing.- The Neapolitan composer Nicola Porpora (1686-1768) was the singing teacher of the princess of Saxony, Maria Antonia Walpurgis, at Dresden from 1748 till 1751. In 1752 he went to Vienna and Joseph Haydn became his student and servant. There Porpora published also the present sonatas, in their dedication he still calls himself "Kapellmeister" of the king of Poland. The princess who came from Bavaria was a great patron of arts, in particular music.- With waterstains throughout, otherwise only slightly browned and soiled, contemporary calf with gilt (turn-ins damaged; scratched and scuffed). Chemische Untersuchung über das Fleisch und seine Zubereitung zum Nahrungsmittel. Heidelberg, C. F. Winter 1847. 8°. VIII, 116 S. Mod. Lwd. mit Rsch. (OUmschl. eingebunden). . . Paoloni 487 - Poggendorff I, 1455 - Waller I,5795 - Darmstädter 498.- Sehr seltene erste Ausgabe von Liebigs berühmter Abhandlung über die Gewinnung des Fleischextraktes. "... gelangte Liebig zu einer Entdeckung, die ihn zu einem der populärsten Männer seiner Zeit gemacht und durch die er der Wohltäter von Tausenden von Menschen geworden ist, zur Herstellung des Fleischextraktes" (ADB XVII, 600).- Titel gestempelt, leicht gebräunt, tls. stockfl.- Aus d. Bibl. d. berühmten Ernährungsforschers John Yudkin u. d. Chemieprof. F. Sonderheimer mit 2 Exlibris am Innendeckel. Kriegs- Ingenieur- und Artillerie-Lexicon. Worinnen die einem Ingenieur, Offizier und Artilleristen, bey eines jedweden Profeßion vorkommende Wörter, ihrem eigentlichen Verstande nach, in alphabetischer Ordnung, deutlich und mit hierzu noethigen Kupfern, erkläret werden. Nürnberg, J. Chr. Weigel 1726. 8°. (Dplblgr.) Titel, 6 Bll., 347 S., mit (dplblgr.) gest. Frontispiz u. 12 (dplblgr.) Kupfertafeln, Interims-Pbd. d. Zt. . . Jähns II, 1455 - vgl. Zischka 73 (Ausg. 1735).- Erste unter diesem Titel verlegte Ausgabe, gegenüber der Ausgabe von 1723 um mehr als die Hälfte vermehrt.- Das Werk übertrifft an praktischen Wert das "Lexicon militare" des Jesuiten Caroli de Aquino (Rom 1724), das als erste militärische alphabetisch geordnete Enzyklopädie gilt. "Es ist ein Wörterbuch im eigentlichen Sinn des Wortes; die technischen Kunstausdrücke werden kurz erläutert... Ein doppelter Anhang bringt erstlich ein geogr. Ortsverzeichnis, zweitens eine Übersicht der vornehmsten Münzsorten nach Wert der sächs. Währung, beides wie das Wörterbuch in alphabet. Folge. Gute Kupfertafeln erläutern des Text." (Jähns).- Tls. leicht braunfleckig, Ebd. stärker berieben u. bestoßen. Las Cronicas de las Cruzadas. Les Chroniques de Jherusalem Abregees. Wien, Österreichische Nationalbibliothek, MS. 2533. Faksimiledruck der Handschrift von 1455 mit Kommentar. Madrid, Club Bibliofilo Versol, (2008). 4 Bll. (Titel, Vorwort), 20 Bll. (Faks.) mit goldfarb. u. farb. teils ganzs. Abb., S. 53-103 (Kommentar). Quer-Folio (26 x 49 cm). Goldgepr. Kunstldr. mit mont. farbiger Deckelillustr. 1455. . Eines von 1500 Exemplaren.- Selten. [Mainz: Johann Gutenberg, ca. 1455, i.e. Paterson and New York: Pageant Books, 1961]. Folio,  pp. with 100 illuminated miniatures, chapter initials in red and blue, rubricated in red. Original red cloth lettered in gilt, boxed. A fine set as published. Limited to 1000 sets, reissuing the facsimile published by the Insel-Verlag in 1913 which was taken from one of the most beautiful copies known, especially treasured for the wealth of miniatures illuminated in gold and decorated with flora and fauna. This was the first facsimile of the Gutenberg Bible to be printed in America. 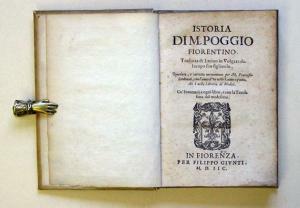 Some copies were issued in a leather binding and the balance in cloth. Despite the large limitation, copies are uncommon in fine condition as issued. Mainz: Johann Gutenberg and Johann Fust, c.1455. A single leaf from the famed 42-line Bible, the first book printed with moveable type. This copy is a &#145;Noble Fragment&#39;, with A. Edward Newton&#39;s Bibliographical Essay. The manuscript leaf is from a Latin Vulgate Bible of 48 lines. It is additional too and is not called for in the Noble Fragment presentation binding. Printed in gothic letter with headlines and chapter numbers supplied in red and blue along with large initials, other capitals highlighted in red and accent marks added by hand in brown. The manuscript leaf ruled in light brown, large initial in red with blue scroll pattern, chapter number in blue, heading in red. Folio, the two leaves housed laid-in the original Noble Fragment full morocco folder, gilt lettered. Now in an impressive full royal blue morocco folding case lined with velvet. A very fine example in excellent condition, the rubricating bright and clean, the text bright and strong, the paper, extremely well preserved with only the most minor of light staining. The manuscript leaf mounted to stiff board and with a small pinhole. The Noble Fragment morocco just very lightly rubbed. The Gutenberg Bible may be described without the slightest exaggeration not only as the earliest but also the greatest printed book in the world. It is the first book from the printing press, having been preceded only by a few trial pieces, single leaves, almanacs and grammatical booklets of which merely stray fragments remain. It is, as well, one of the most beautiful books ever printed. The quiet dignity of those twelve-hundred or so pages of bold, stately type, the deep black ink, the broadness of the margins, the glossy crispness of the paper, may have been equaled, but they have never been surpassed; and in its very cradle, the printer&#146;s art, thanks to the Gutenberg Bible, shines forth indeed as an art as much and more than as a craft. Last but not least, the Gutenberg Bible is the first printed edition of the Book of Books. The mere fact that in the Rhine valley in 1455 the first book to be printed should have been the Bible tells its own story. "While Gutenberg and Fust were actually at work, the fall of Constantinople in 1453 announced the end of an old world and the dawn of modern thought. Did Gutenberg realize that by setting the Holy Text in type he was heralding one of the greatest movements of human thought in the history of the civilized world?&#148; (S.De Ricci). Hundreds of volumes, indeed whole libraries have been written about the invention of printing and about Gutenberg&#151;of the struggle to design letters, to discover a metal that would hold clear cut edges and stand pressure; to find paper and a formula for ink that could be applied to it by type, to perfect a press that would bring uniform contact, etc. The Bible is not only the oldest printed book--the most reprinted book--the most translated book...it is, quite properly, the most sought-after of books by bibliophiles, and the most expensive. The last public sale, of a single volume of the two which had originally been issued (the Old Testament and the New Testament) exceeded $5,250,000. The leaf here is from the Apocryphal Book of Tobit and begins with Chapter V, verse 19 and ends with Chapter VIII, verse 10. Included is an appearance by the Angel Raphael. Included with this leaf is a manuscript leaf of the same period which echoes Gutenberg&#39;s print style.